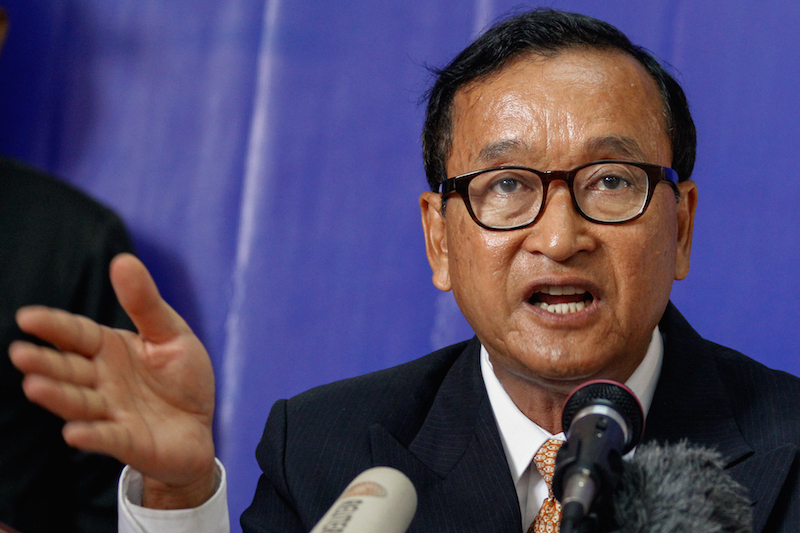 Opposition leader Sam Rainsy, already living outside the country to avoid a two-year prison sentence, will go on trial in November over a case that could see him handed an extra 17 years in prison, the Phnom Penh Municipal Court has announced. The news comes just days after the court informed deputy opposition leader Kem Sokha that his trial for refusing court summonses would begin on September 9. He faces one to six months in prison if found guilty. Mr. Rainsy will be tried for being an accomplice to forging a public document, using forged public documents and incitement to commit a felony to disturb social order, according to a warrant dated August 23 and signed by deputy prosecutor Sieng Sok. The court’s spokesman declined to comment on the case on Sunday. The charges against Mr. Rainsy relate to a video posted to his Facebook page that features opposition Senator Hong Sok Hour, who was arrested in August on the orders of Prime Minister Hun Sen. 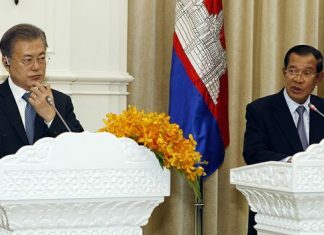 In the video, Mr. Sok Hour presents a fake border treaty in which the government agrees to dissolve its border with Vietnam. In previous hearings, Mr. Sok Hour has denied the forgery charge, explaining that he simply found the map through a Google search. The senator has repeatedly been refused bail due to what the court says is his continued risk to social order. Mr. Rainsy currently faces a two-year prison sentence for defaming former Foreign Affairs Minister Hor Namhong—a conviction from 2011 that was widely believed to have been pardoned when the opposition leader returned to Cambodia before elections in 2013, but was reactivated in November. The opposition leader initially pledged to return to the country and face down the arrest threats, but balked at the last minute and decided to remain abroad. Mr. Sokha has taken up the mantle of the party’s acting president in his absence. 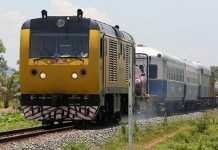 CNRP spokesman Yim Sovann said that the party would not be distracted by what he said were overtly political court cases. “We have committed ourselves to proceed to the local elections in 2017 regardless of what happens in the future,” he said of commune elections set for June 4, next year. 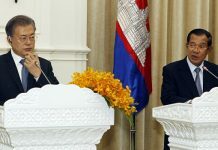 Mr. Sovann said he remained optimistic that a political deal would eventually end the legal problems facing party leaders, but that Mr. Rainsy would return to Cambodia before the 2018 national elections regardless.